Perfect around the tree. 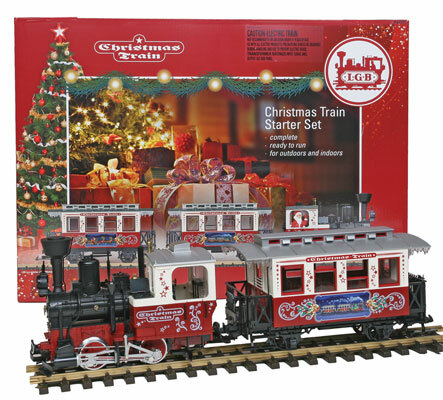 This starter set includes Santa, an old-timer steam locomotive and 2 passenger cars in a Christmas design. Both wheel sets on the locomotive are driven by a powerful Buhler motor. The front headlight on the locomotive works, and the locomotive has a built-in smoke unit. In addition, the set has 12 sections of curved track, a transformer with a locomotive controller, and the necessary hookup wires.